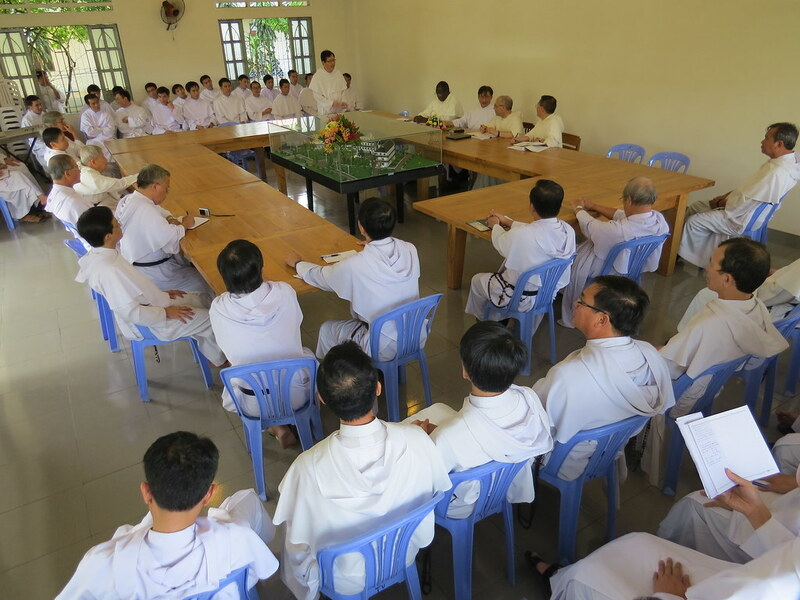 Sai Gon-Vinh-Ha Noi 10-31-14 (English Gateway) — The Master of the Order, Brother Bruno Cadoré, O.P., has accomplished his canonical visit to the Dominican Province in Viet Nam, Wednesday October 22, 2014. Accompanied by his two assistants, Brothers Vincent Ha Vien Lu, O.P. 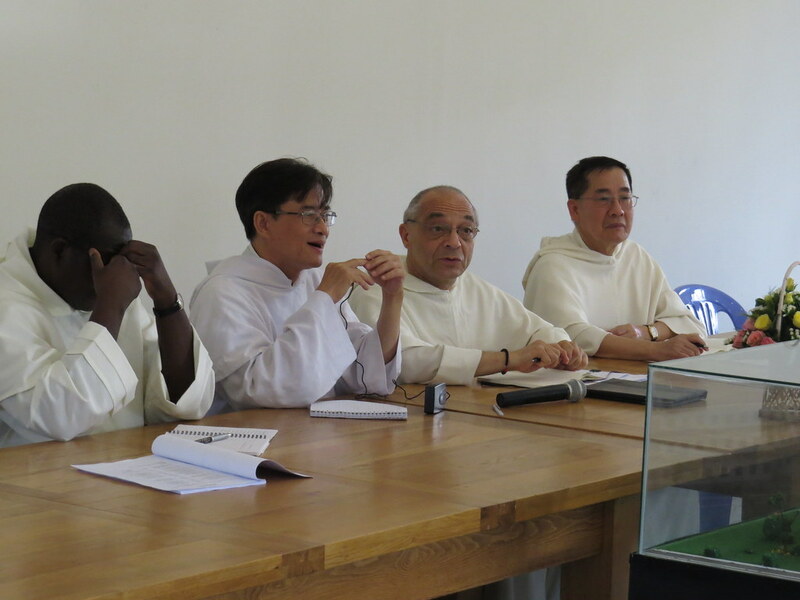 and Gabriel Samba, O.P., the Master, since his arrival on October 2, 2014, met his Vietnamese friars living in their communities and working in pastoral and mission places from Sai Gon in the South, through Vinh in the Central, and to Ha Noi in the North of Viet Nam. Despite his hectic schedule—sometimes without a short break after meal—the “petit frère” impressed his brothers very much with his athletic working style and his ever-joyful, welcoming smile. To note that Brother Bruno, right after his election as Master of the Order in 2011, came to Viet Nam in an unofficial trip.